DXN was founded by Dato' Dr. Lim Siow Jin, a graduate from the prestigious Indian Institute of Technology. Dato' Dr. Lim started the business in quest of the benefits of mushroom on human health. His deep interest and endless efforts has driven him to utilize the fullest potential of Ganoderma or Lingzhi, which is well-known as the King of Herbs, for human health and wealth, with the establishment of DXN in 1993. The core business activities of DXN include cultivation, manufacturing and marketing of the health food supplements. Based in Malaysia with worldwide operation, the company is well-known for its Ganoderma business. Its product lines include dietary supplements, food and beverages, personal care products,skin care & comestic, household products and water treatment system. Since its inception in 1993, DXN has upheld its concept of 'One Dragon, One World One Market and One Mind'. With this powerful concept, DXN has sailed through continuous growth over the years. On 30 September 2003, DXN Holdings Berhad was listed on the Main Board of the Bursa Malaysia. 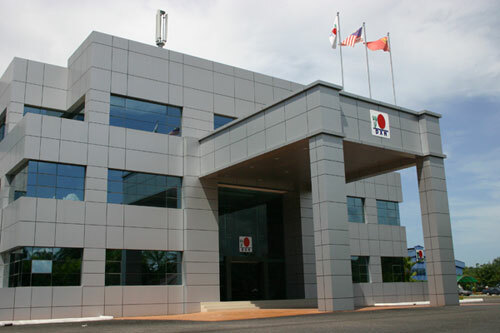 DXN Holdings Berhad is the investment holding and management company of DXN Group. DXN's high regard for quality earned the company many outstanding citations and recognitions from various health and business organizations. Along with the solid foundation and sustainable development, DXN has rapidly diversified into other business activities, which include property, information technology, etc. In its core business of network marketing, the rapid global expansion of DXN is recognized internationally by its vast growth of members worldwide and its amplification of footprint in key strategic locations. With over six million registered distributors worldwide, DXN is solidifying its position as the world leader in Ganoderma products.